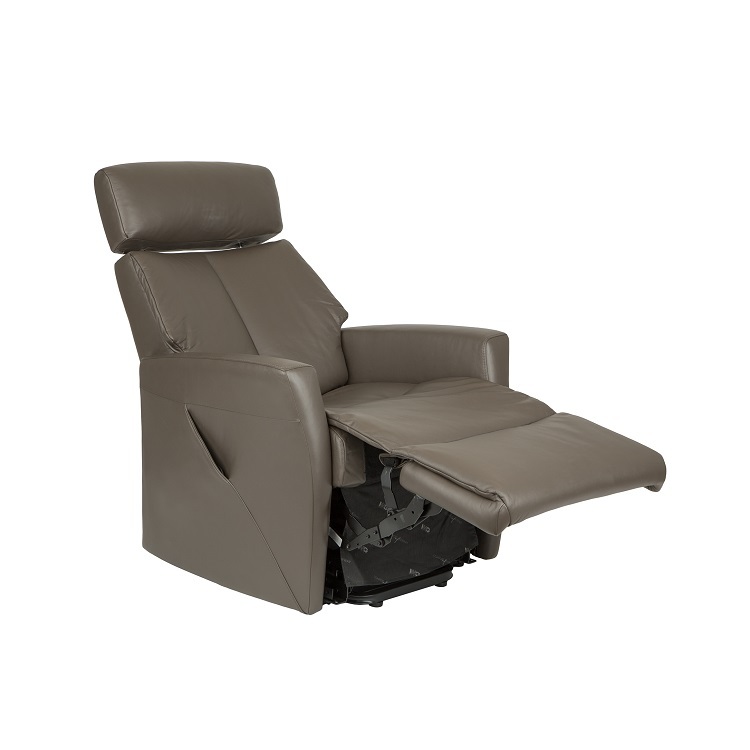 The Queen multifunction recliner with lift, available in smoke leather, is an attractive, exceptionally comfortable reclining chair that allows you to fully customize your sitting or lying position. 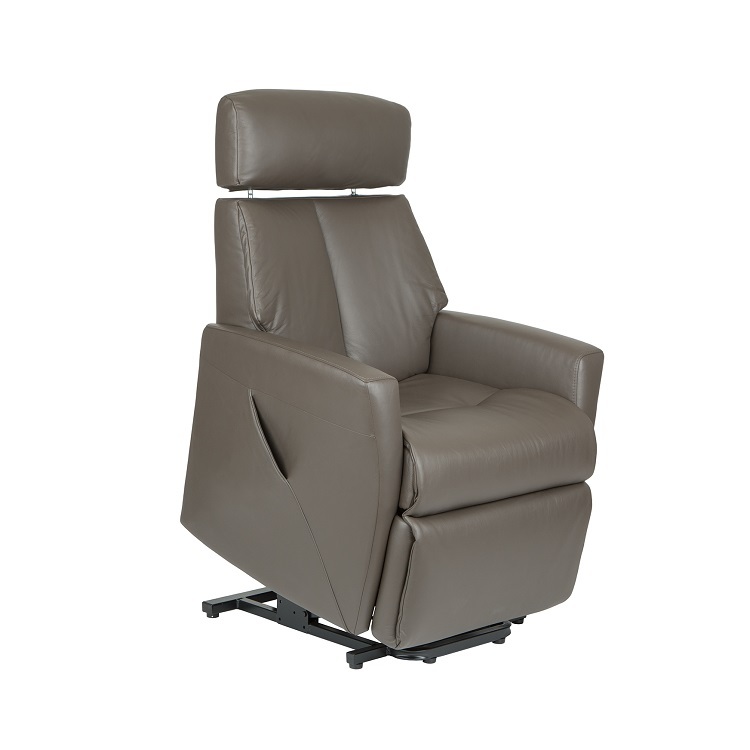 The Queen has two motors that move the back and footrests independently with the light touch of a button, enabling you to specify the angle and degree of reclination. 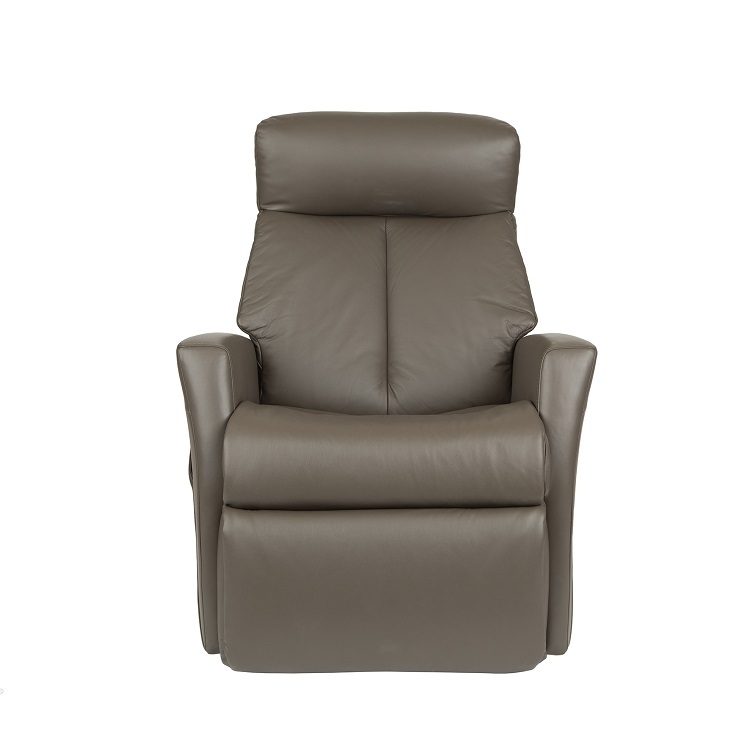 Also available in "nature" leather, as well as in additional colors in standard or large models with power or manual reclining functions. Size: L 31''W 35''H 43''/38"
Only 2 items are available at this time.